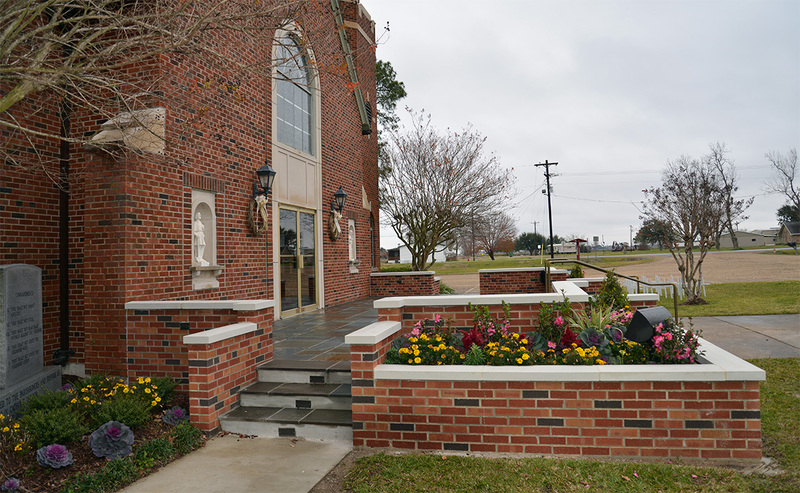 A larger and more functional replacement of the entry stairs at St. Leo's Catholic Church with an entry plaza, making room for social interaction and reflection before and after visiting the sanctuary. 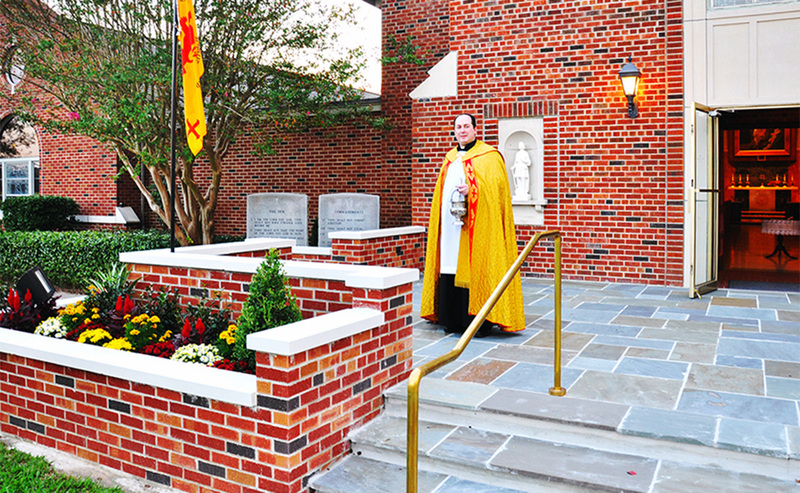 By using the same materials and colors as the church; red and black brick, light tan precast concrete, grey slate and brass, the new entry plaza is integrated with the existing structure. 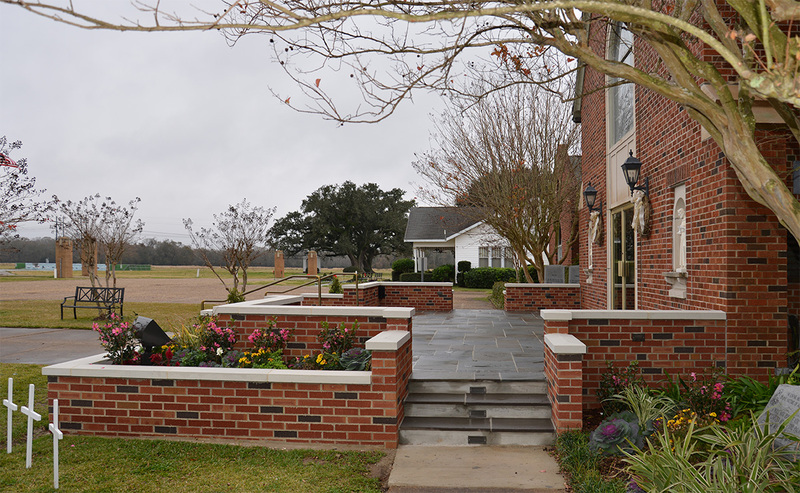 Stepping flowerbeds with colored plants creates a more pleasant entry to the sanctuary by avoiding tall walls.